U.S. district court judge Richard Leon put somewhat of a damper on CVS Health’s merger with Aetna earlier this month when he indicated that he might order a halt to the integration of the companies, which finalized their $78 billion tie-up in late November after winning approval from the Department of Justice and state regulators. At a hearing in the federal court for the District of Columbia, Leon expressed concerns about what the deal could mean for competition in the health care sector, and, in a break with usual practice, said that he might not endorse the settlement that the Justice Department reached with CVS and Aetna. To pave the way for the merger, the companies agreed to sell Aetna’s Medicare prescription drug programs, which serve 2.2 million members, to a subsidiary of WellCare Health Plans. Although the divestiture satisfied regulators, Leon still needs to be convinced. As a federal judge, he has the power to disrupt the assimilation process (Leon instructed the companies and the Justice Department to prepare legal briefs ahead of a hearing scheduled for December 18). But, based on historical precedent, odds are the merger will ultimately win judicial approval. 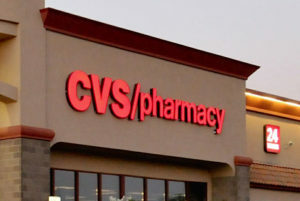 For its part, CVS Health is focused on the task at hand. Aetna and CVS are now a single entity, according to a spokesman, working to transform the health care experience for consumers. That singleness of purpose is good news for a health care system plagued by exorbitant costs and, when viewed as a whole, substandard results. Compelling arguments support the position that the merged company is ready to help alleviate some of the most serious flaws in the nation’s health care system. Merlo and the deal’s other architects point to several problems that CVS Health can help overcome — the fragmented and needlessly complex structure of the current health care system; the episodic nature of care; and waste caused by duplication of effort on the part of physicians and other providers working in silos. By offering people a single portal to health care, the company promises to increase patient engagement, enhance health outcomes and lower total health care costs. It makes sense that a single organization with a holistic view of the patient can better manage care than, as is common today, several entities that don’t communicate effectively, if it at, with one another. In addition, CVS Health plans to ensure that patients receive the appropriate care in the appropriate setting, thus eliminating many unnecessary expenditures. As with any new paradigm, there are uncertainties and risks involved. Opponents of the CVS-Aetna merger raise concerns about the power such a large and diverse company will exercise in the health care marketplace. They argue that the company could steer patients to its own facilities, ultimately leading to higher costs. It’s impossible to know what the future will bring, but one thing is certain — the U.S. health care system, which spends far more per capita than other advanced nations and produces worse results by such measures as life expectancy and infant mortality, is dysfunctional. Something needs to change if Americans are to have access to quality care without bankrupting the nation. It’s time to let CVS Health get to work and prove what it can do.